Welcome to the website for Midcoast Permaculture Design based in Midcoast Maine. 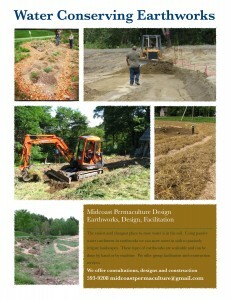 We do landscape design and master planning for home & farm. We also do consultations and installations for clients. For inquiries about permaculture design, consulting, installation or maintenance please contact us at watson(at)midcoastpermaculture.com For more about permaculture and about us, see below. In a sentence, permaculture is about ecosystem design. 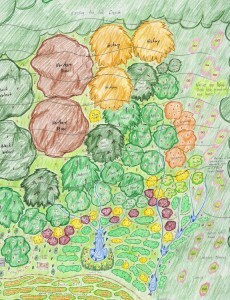 It is ecosystem design both in the biological sense and in the economic sense. 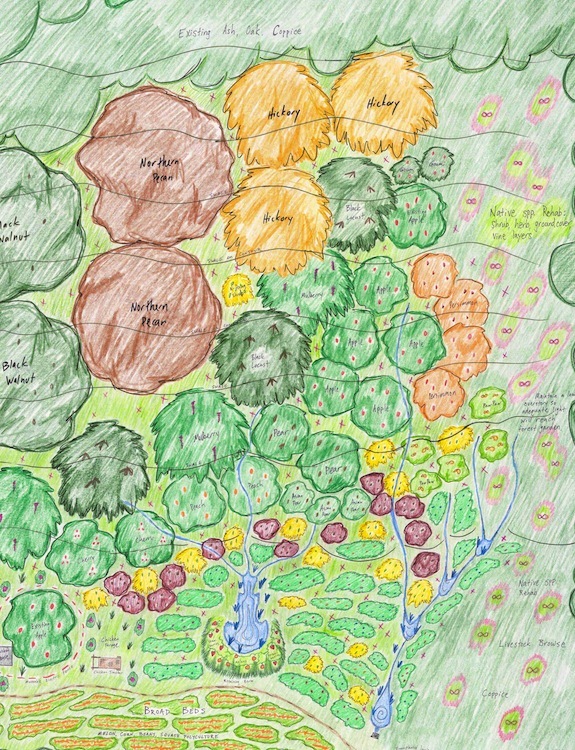 It is a landscape design system for sustainable human settlements and perennial agricultural systems that produce more energy than they consume. It takes inspiration and mimics relationships and patterns in nature. 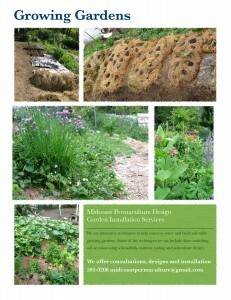 In its most concrete sense permaculture is a breed of landscape architecture or landscape design. 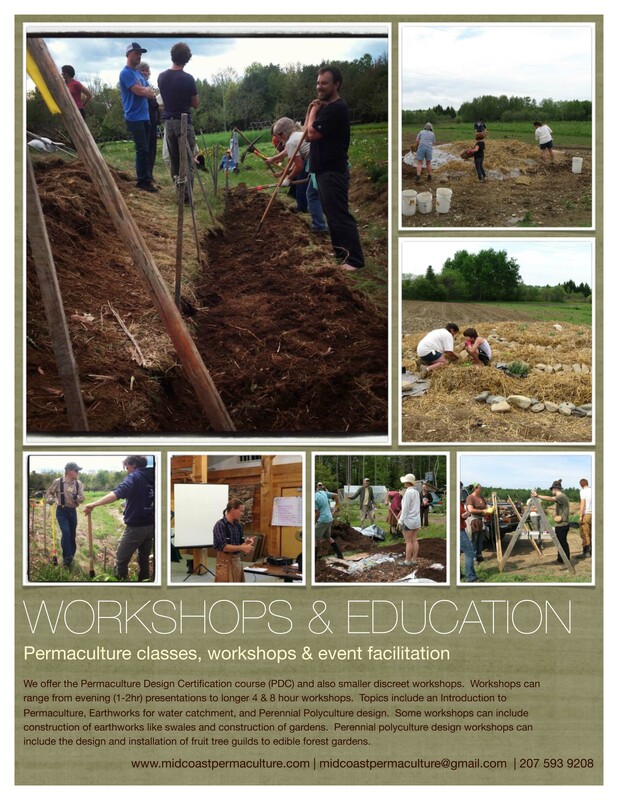 The word permaculture was originally a contraction of “permanent agriculture,” but has broadened to mean “permanent culture” with its expanded insight into land stewardship, architecture, tools and technology, community structures and economics. 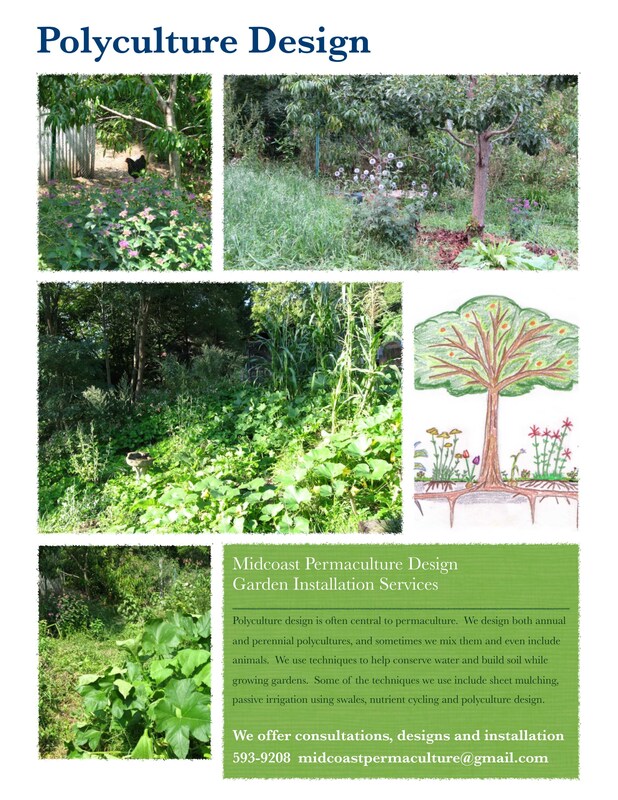 Permaculture goes beyond sustainability toward regenerative design. 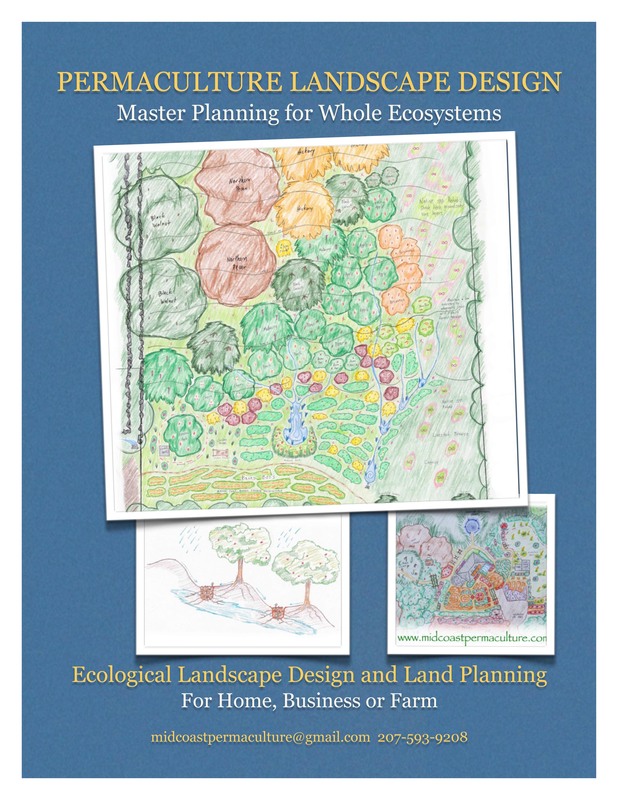 Through ethical sustainable land stewardship and a relocalized economic revival we can remember our place in the natural order of things as a keystone species. Where we may participate in—rather than damage—our planet’s ecosystems and the process of evolution itself. 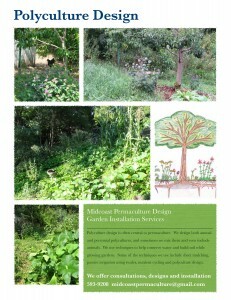 In its most concrete sense permaculture is a breed of landscape architecture or landscape design. In it’s most abstract and poetic sense it is a movement in the symphony of Life to more elegantly integrate Spirit and Matter. 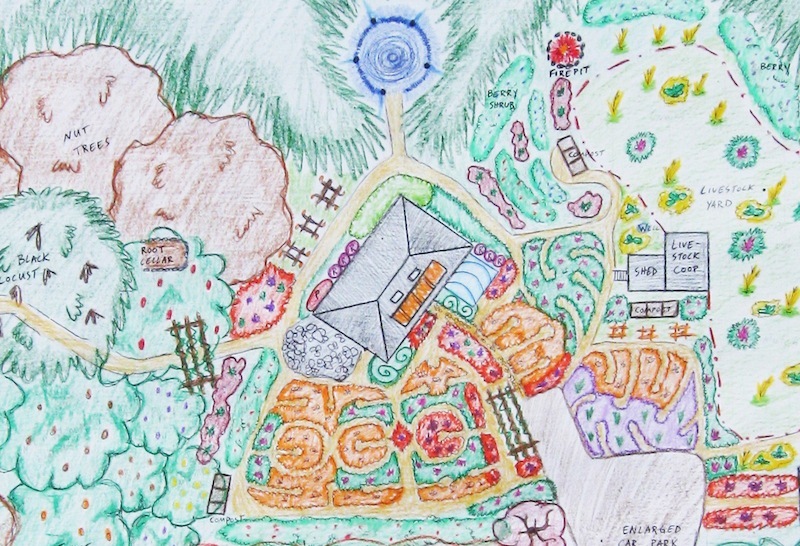 Jesse Labbe-Watson came to permaculture over the last decade by way of the movements for social and environmental justice. 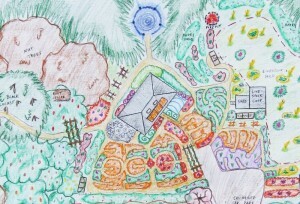 After a brief apprenticeship at Earthaven Ecovillage in North Carolina, Jesse formally studied permaculture with Charles and Julia Yelton at the Newforest Institute and Humustacia Gardens. He graduated from the their Advanced PDC in October 2008. 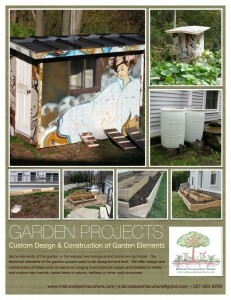 He has gone on to start a permaculture landscape design/build and sustainability consultation firm in the Midcoast area. 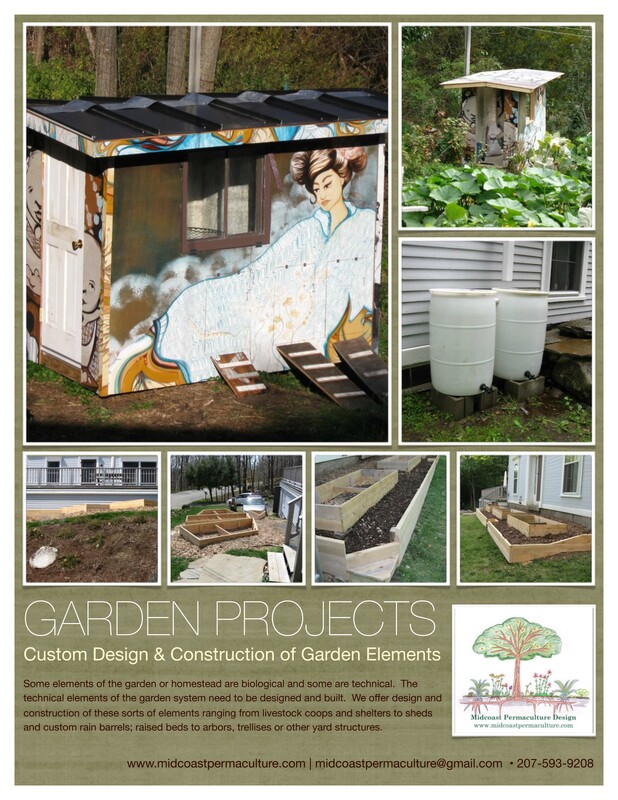 He has consulted for private residents, market gardens, farmers and non-profit organizations. He is the primary organizer for the Midcoast Permaculture Network which hosts workshops, meetups and potlucks. 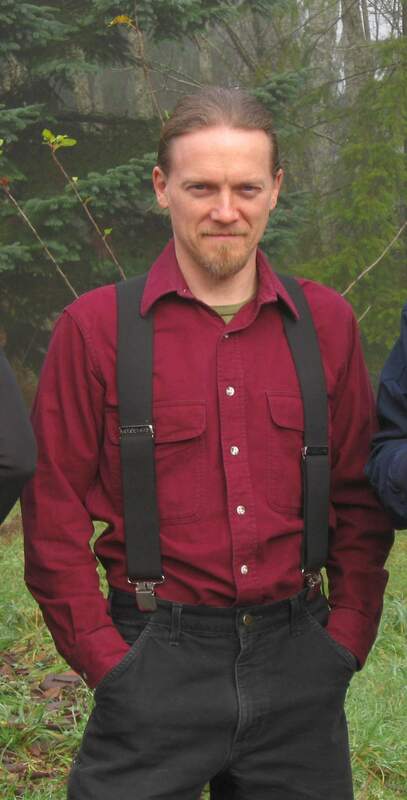 He was also a principal logistics coordinator for the 2010 and 2014 Northeast Regional Permaculture Convergence hosted at the MOFGA fairgrounds. He currently serves as president of the board of PAN – the Permaculture Association of the Northeast. Jesse brings an artist’s paintbrush, a philosopher’s pedantry, a tracker’s attention to detail and a holy fool’s comedic relief to the company he keeps. He lives with his young family in Rockland.